Judge is on bench, attys in place but no #GeorgeZimmerman yet. A big gun from state atty's handling today's #GeorgeZimmerman hearing: Chris White, head SC prosecutor. #GeorgeZimmerman's atty, Jeff Dowdy, just walked into the c-room. No Z yet. #GeorgeZimmerman friend Frank Taaffe's just walked into jail c-ro. He's GZ's former neighbor. At #GeorgeZimmerman hearing, Judge Schott will be in a separate bldg, presiding by video feed. GZ will be in jail c-room. No #GeorgeZimmerman family at hearing. 7 folks waiting for other cases, Frank Taaffe's and a lawyer's wife. State wants #GeorgeZimmerman to not have any guns, no leaving state, no passports. Prosecutor: Victim "is in fear for her safety." Wants #GeorgeZimmerman barred from any contact or coming to her home. Judge: "I do find probable cause for all three allegations" against #GeorgeZimmerman. Judge: Do you understand your rights? #GeorgeZimmerman: "Yes, your honor." Schott reading #GeorgeZimmerman's rights. "You have the absolute right to confront your accusers," to remain silent, presumed innocent. Judge Fred Schott now addressing #GeorgeZimmerman. Informing GZ of his rights to trial, appeal, attorney, etc. Hearing is over. Recap: #GeorgeZimmerman gets $9K bond. No guns/weapons while out, no contact with victim, must wear GPS device. Next #GeorgeZimmerman court date: Jan. 7, 2014. GZ will be on GPS monitoring as well. Judge orders #GeorgeZimmerman to have no weapons while on bond, no contact whatsoever with the victim. #GeorgeZimmerman's bond will be $9,000, judge rules. No returning to victim's house, except with cops to get his stuff. Defense asks for $4,900 bond. Zimmerman "would have some locations" in C. Fla. where he could say, public defender says. State requests $50,000 bond. Says victim didn't report to police another recent incident which involved choking. Assistant Public Defender Dowdy on #GeorgeZImmerman: "Of course he's sorry about what happened," but is "maintaining his innocence." Dowdy asked if #GeorgeZimmerman's girlfriend is pregnant. "I cannot clarify it and I do not know whether she is," he says. #GeorgeZimmerman public defender says he's confident GZ will be acquitted in his domestic violence case. Dowdy: "The sheriff's office removed all of the weapons" from the house yesterday. Says #GeorgeZimmerman has other stuff at gf's house. #GeorgeZimmerman attorney Jeff Dowdy tells reporters: "Hopefully he'll be out by tomorrow morning." #GeorgeZimmerman judge is Jessica Recksiedler. Last go-round she recused because her hub works w/ Mark NeJame, a CNN legal analyst. Will I get my head bit off if I suggest that Z might be PSTD after all the turmoil and threats over the last 2 years? (CNN) -- A Florida judge on Tuesday set bail for George Zimmerman at $9,000 and ordered a number of conditions for his freedom -- including that he not possess weapons -- while he awaits trial on charges he pointed a shotgun at his girlfriend. The judge initially said Zimmerman could return to one of the banned addresses with law enforcement to retrieve his belongings, but later -- at Munoz's urging -- revsersed that allowance, saying a third party could get the belongings instead. Megaro told reporters he was confident Zimmerman would be acquitted. Dowdy said Zimmerman would post bail perhaps by Wednesday, "regroup and try to address the charges." Megaro was asked about Scheibe's alleged claims that Zimmerman talked about suicide. "He's back in jail. Obviously that causes a certain amount of anxiety and stress on somebody. I would not characterize him as what the state attorney has said, meaning he's suicidal and volatile. We did not get that impression from him," Megaro said. Zimmerman's public defenders said Tuesday they were appointed to the case because Zimmerman said he couldn't afford an attorney. He is unemployed, according to a police report, and has about $150 to his name with debts of $2.5 million, according to his request for a public defender. When George Zimmerman and his girlfriend called 911 in the heat of a domestic dispute, they almost certainly knew that they were not just talking to the emergency dispatcher. In the age of Twitter and the 24-hour news cycle, experts say a call to central dispatch can quickly become public and is often manipulated to spin a story or even lay the groundwork for a criminal defense. "There really has been what I would call a multiyear training program in place, frankly" to use 911 calls strategically, former Massachusetts prosecutor Wendy Murphy said. "And folks, especially people who understand high-profile crimes and the nature of evidence and the rules of evidence and domestic abuse generally, they (know) the power of a 911 call to change not only the trajectory of the case, but to change public opinion and to affect the jury pool." "So it's almost as if he's making statement about the case beforehand — especially if he's not planning on testifying in the future" LaMance said. "It allows him to speak without the fear of cross-examination. So if he can get his side out, and in a clear way, he never has to face the other side asking him questions or follow-ups." But LaMance said it's also safe to assume that Scheibe knew any allegations she made against her infamous boyfriend would immediately go viral — as would her 911 recording. I totally believe he has PTSD, I think anyone would after they killed someone. If anything, they need to ban him from owning any weapon for the rest of his life. The evidence showed in the TM case that TM DID have the upper hand and George did what he had to do in order to keep himself from being killed, There is no other way around it. It's sad that HE is still being blamed for defending himself. I think anyone in his situation would do the same. I know, I would not hesitate for one second to defend myself if my life was on the line. (CNN) -- George Zimmerman showed little emotion as the verdict was read. But after months in which the weight of the world seemingly lay on his shoulder, a period in which he was called everything from a murderer to a racist to a pig-headed jerk, more emotion would be very understandable, if not expected. After all, he was a free man. Yet his story didn't end there. Yes, when Zimmerman walked out of the Florida courtroom that Saturday night in July, he legally could have gone anywhere or done anything. A jury opted not to convict him of murder in the death of Trayvon Martin -- the unarmed black teen who Zimmerman said he shot in self-defense -- or a lesser charge of manslaughter. In an instant, he went from the prospect of life behind bars to seemingly unlimited prospects. It hasn't been that simple. 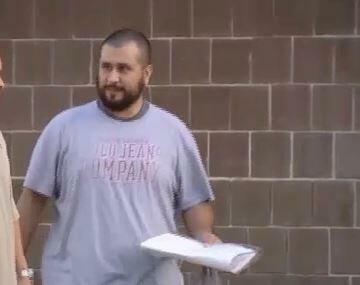 A lot has happened to George Zimmerman since his acquittal. We all know what it takes to prosecute someone. Many, many people have either never been arrested or were unable to be convicted even though it is very likely they were guilty. In Trayvon's case he was killed so unable to testify as to what really happened and he's the only one who really knows besides a very shady and dishonest Zimmerman. IMO the evidence does not show his innocence. Lots of excuses being given for this man and his behavior, which goes back years before he killed Trayvon. IMO he's going to do something that there will be no excuse for. #Zimmerman: I'm very, very broke. I owe O'Mara and West $2.5 million. I have $144. #Zimmerman's family has pledged to help him come up w/ bail, new atty says. #Zimmerman is $2.5 million in debt, says new atty, largely money owed O'Mara and West. perception...perception...perception...anyway...I have other cases to look after...this one is not newsworthy. I shouldn't have commented. Even commenting just feeds into it...for him...for the Martins...for oh what's his name...that inserts himself as a civil rights guy...I vow this day forward...no matter what this guy does...oI will not be back in this thread...I will focus somewhere else. I hope that at some point he receives the help that he needs after such a traumatic event and that Trayvon's parents are getting the help that they need too. Page created in 6.884 seconds with 20 queries.